The lipid and long chain omega-3 polyunsaturated fatty acid (LC ω-3 PUFA) contents of spot samples of 22 under-utilised species of deep-sea fish were determined. 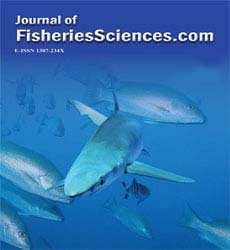 The total lipid content was determined by a rapid extraction technique which used anhydrous sodium sulphate and ethanol to immobilise the moisture in the fish tissue followed by extraction of lipid with hep-tane at 80-85°C. The heptane extract was analysed in a liquid cell between NaCl windows on an infra-red (IR) spectrophotometer. Lipid content of the extract was calculated from the area of the IR spectrophotometric ester stretching band between 1700 and 1800cm-1. After evapora-tion of the heptane, the residue was determined gravimetically. The IR and gravimetric (where sufficient crude lipid quantities were present) results were generally in good agreement. Eigh-teen fish had lipid contents 1.1g/100g, ranging from 0.18 (birdbeak dogfish, Deania calceus) to 1.1g/100g (forkbeard, Phycis blennoides), while four had lipid contents ranging from 4.25 (Baird’s smoothead, Alepocephalus bairdii) to 16.2g/100g (snake mackerel, Nessiarchus nas-sutus). However, both snake mackerel and orange roughy (Hoplostethus atlanticus) produced IR spectra consistent with the literature findings that they contain high levels of undigestible wax esters. The ω-3 PUFA, eicosapentaenoic acid (C20:5ω-3, EPA) and docosahexaenoic acid (C22:6ω-3, DHA) were determined using capillary gas chromatography. As a source of dietary ω-3 PUFA, the low-fat fish were generally poor suppliers with amounts ranging from 0.04g/100g (birdbeak dogfish) to 0.29g/100g (greater argentine, Argentina silus) but several species were not substantially inferior to cod (Gadus morhua). The tw high lipid species containing large amounts of wax esters, although having appreciable levels of ω-3 PUFA would not be desirable from a dietary point of view. In most of the fish DHA was present at 3 to 6 times the level of EPA.